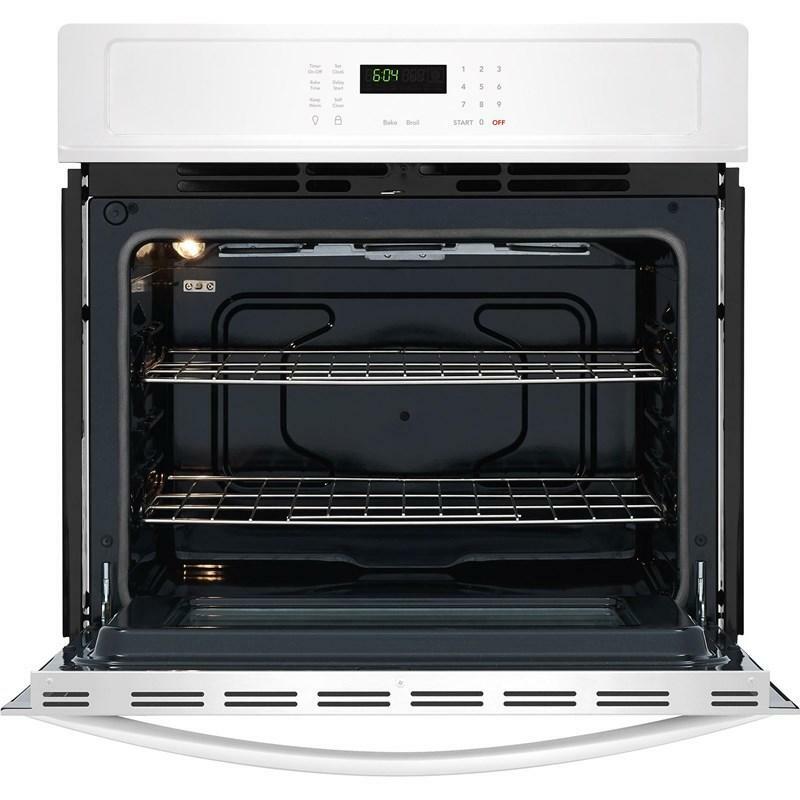 Additional Dimensions • Depth (with door 90° open): 45-3/4"
• Oven interior (H x W x D): 17-1/2" x 24-1/8" x 18-3/4"
• Cutout height (min./max.) 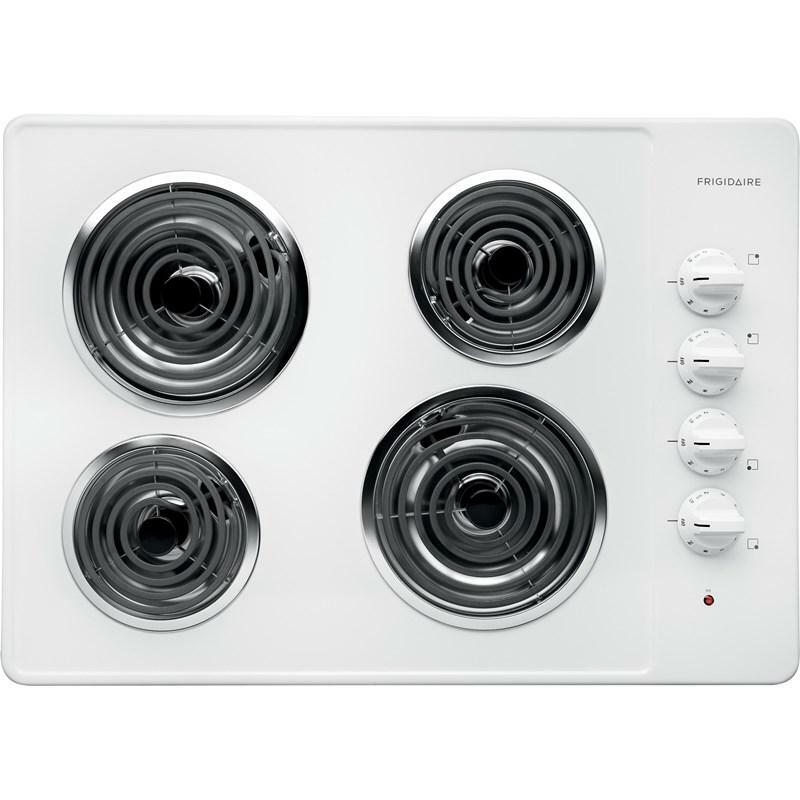 27-1/4" / 28-1/4"
• Cutout width (min./max.) 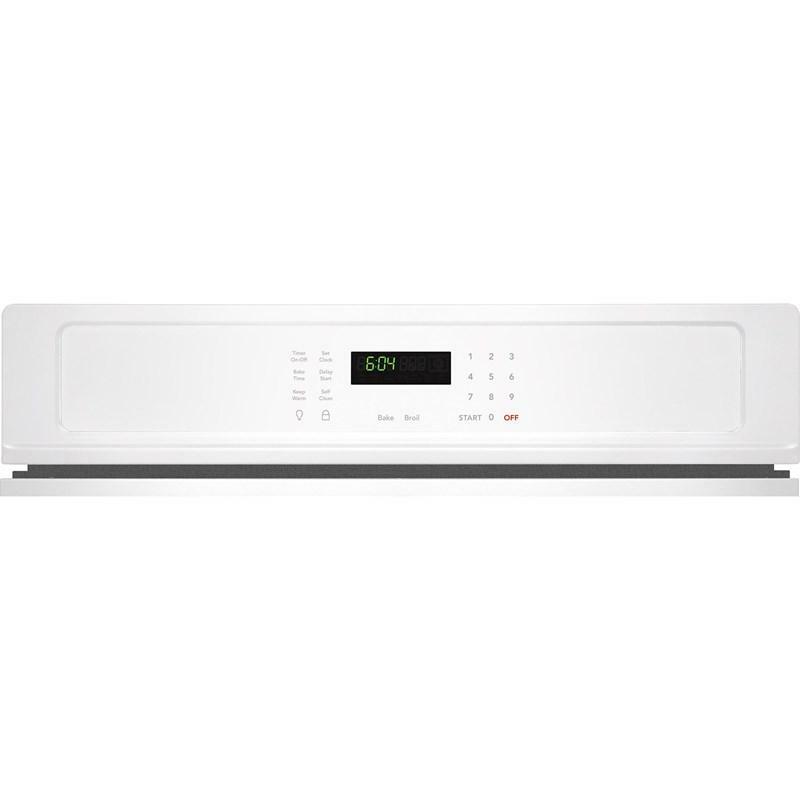 28-1/2" / 29"
• Cutout depth (min.) 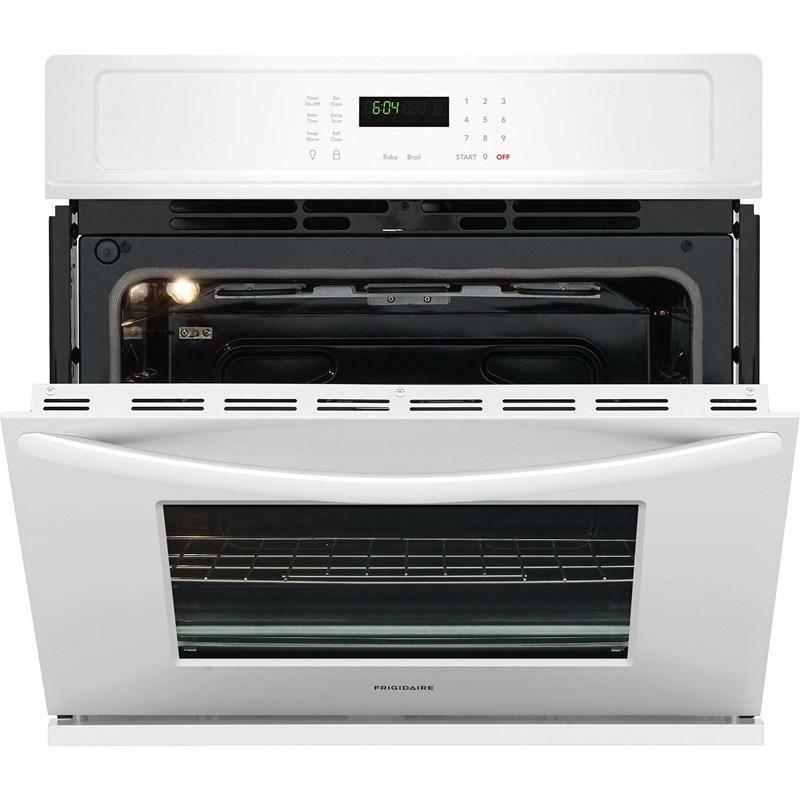 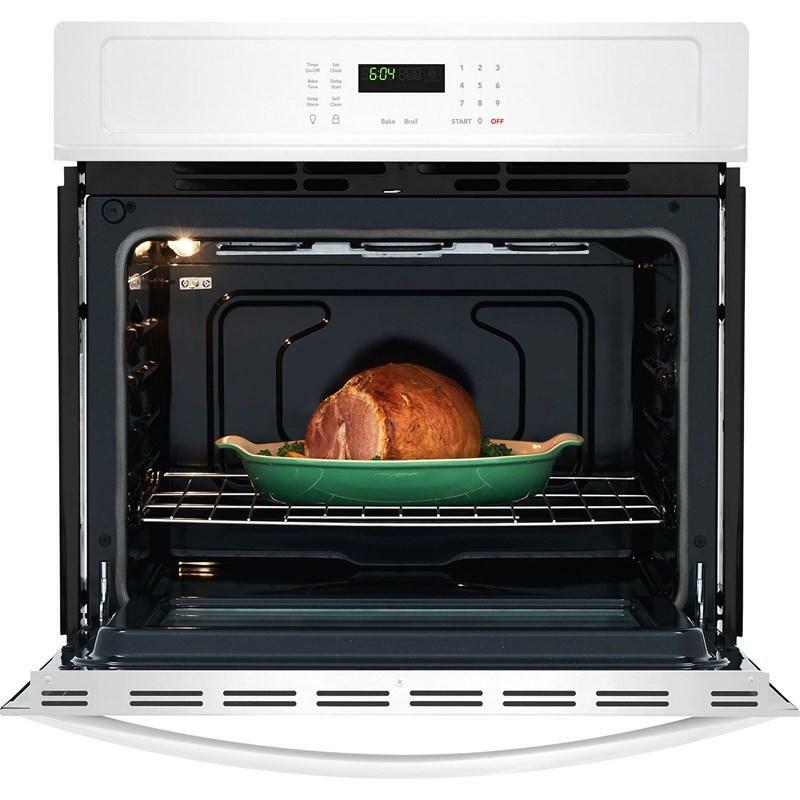 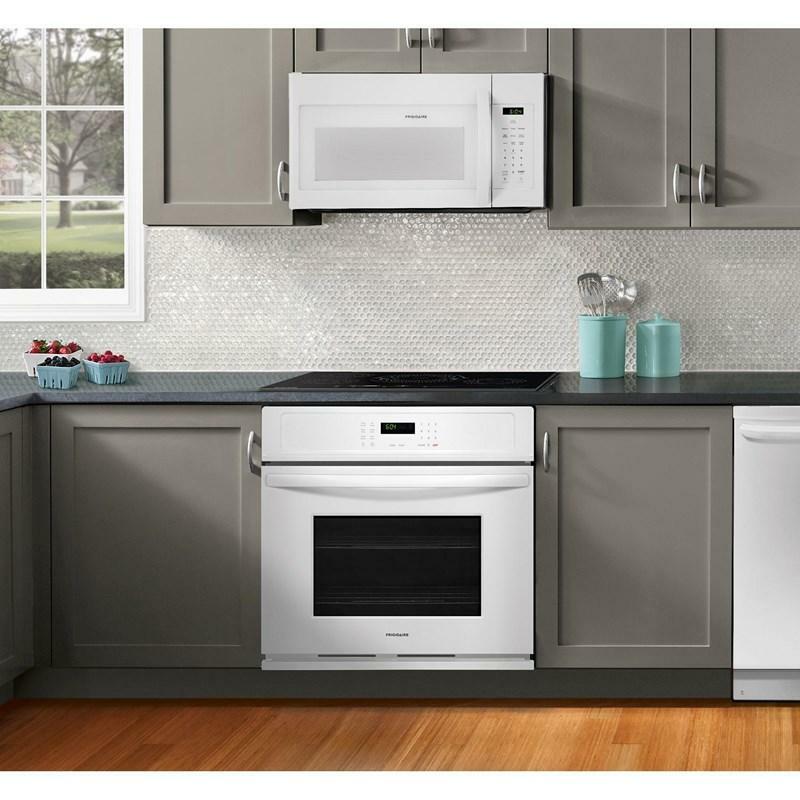 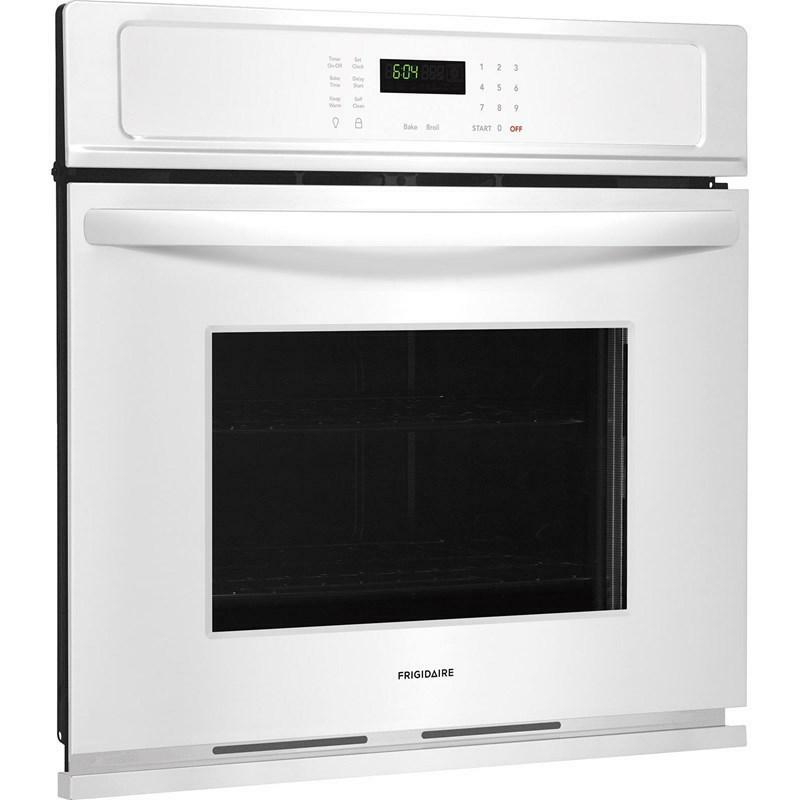 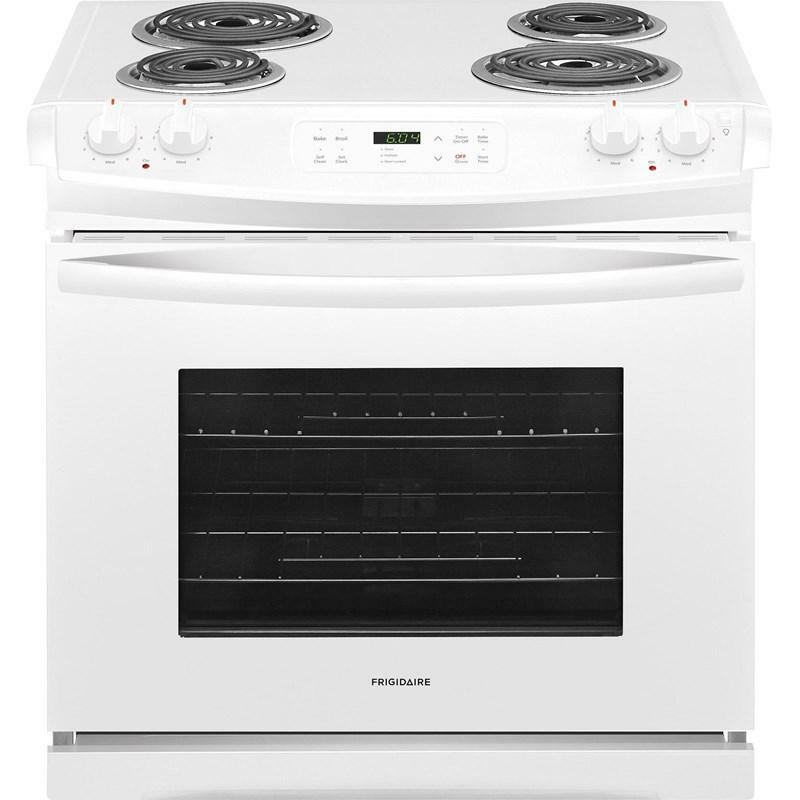 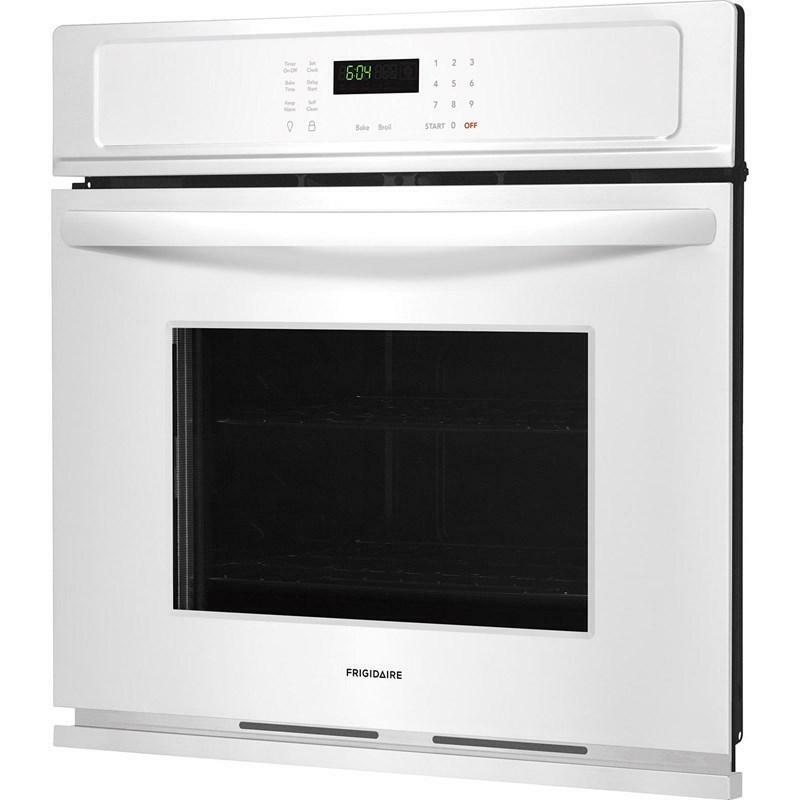 24"
Frigidaire slide-in electric range features 4 coils elements, self-cleaning oven, storage drawer and 12-hour auto oven shut-off. 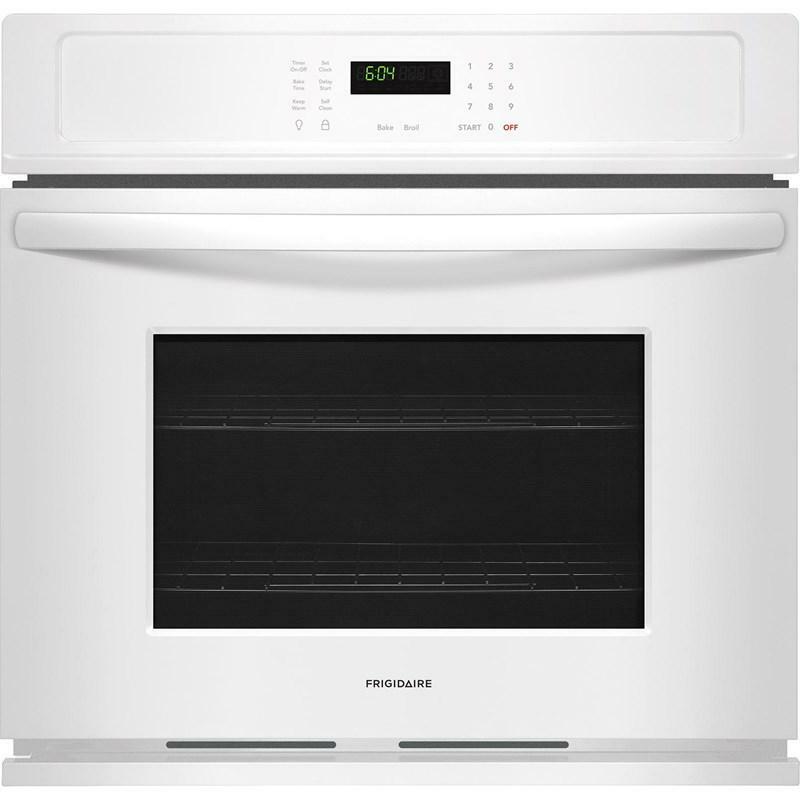 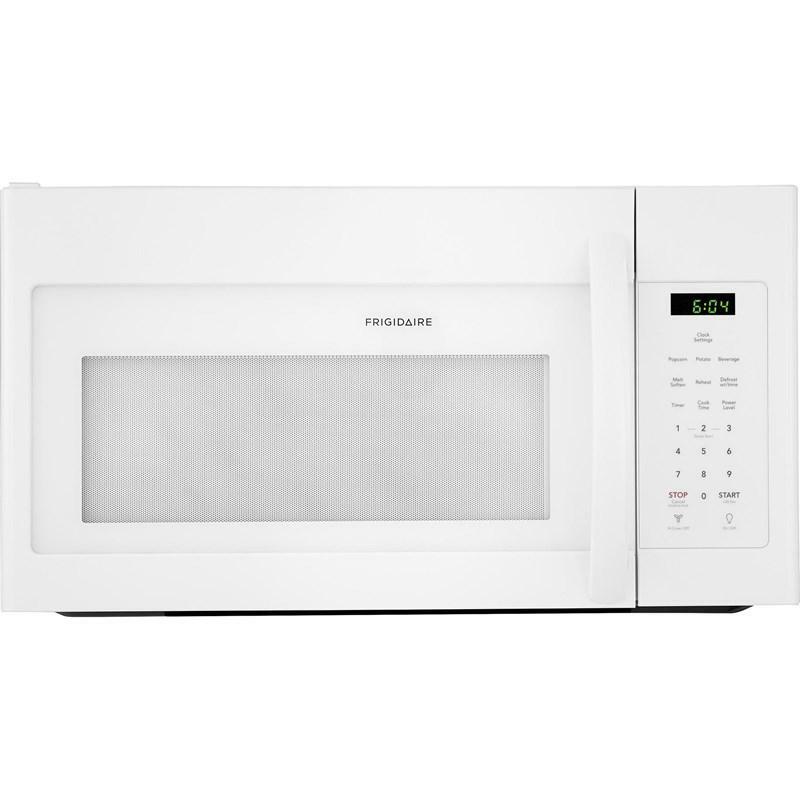 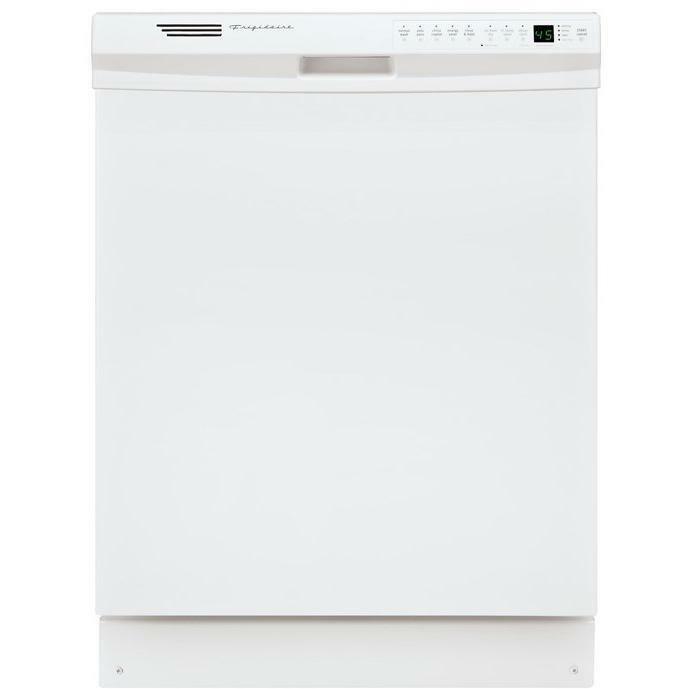 Frigidaire 18 cu.ft. 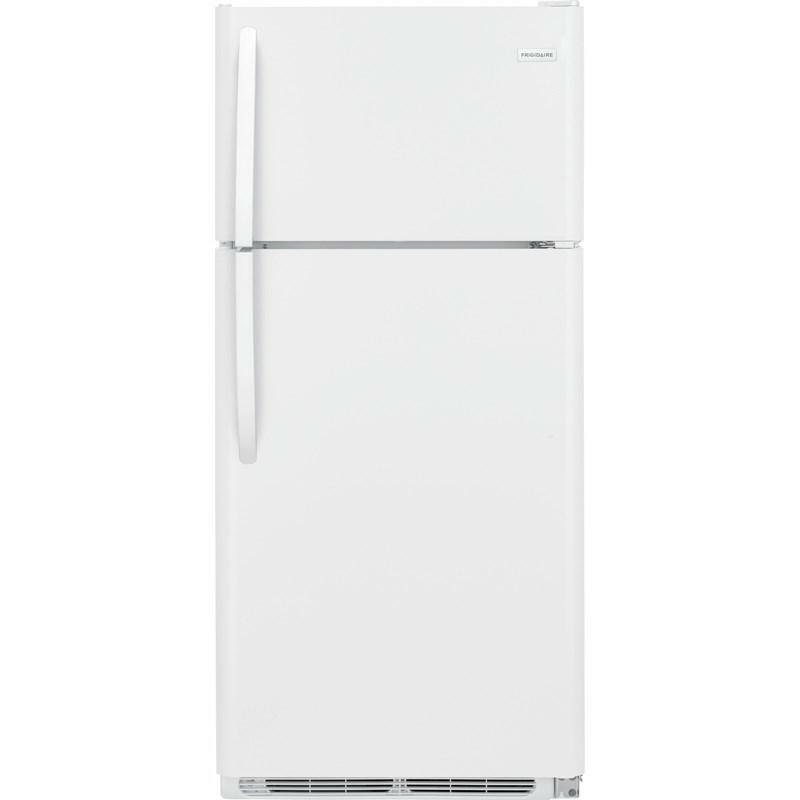 top-freezer refrigerator featuring Store-More™ humidity-controlled crisper drawers, a Store-More™ gallon door shelf and a reversible door.